My grandmother, her parents and grandparents. 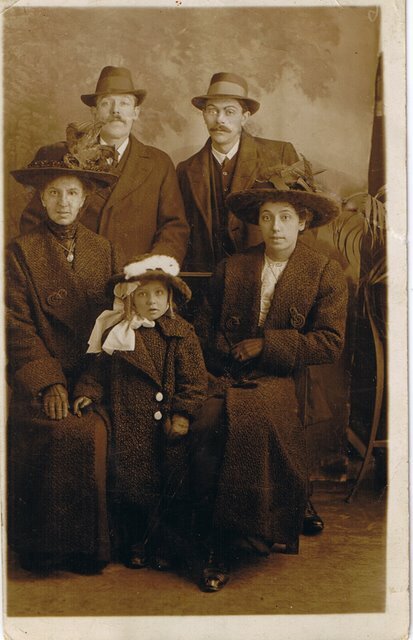 If you’re researching your family history in Wales then you may find the following links useful. Some are Wales specific but most are useful even if your family lived in other parts of the world. https://www.familysearch.org/ – FamilySearch is a service provided by The Church of Jesus Christ of Latter-day Saints. Their main online search tool can be found here. http://freepages.genealogy.rootsweb.ancestry.com/~hughwallis/IGIBatchNumbers.htm – search the Family Search database batches directly. http://www.familytreesearcher.com/ – family tree search aggregator. http://www.freebmd.org.uk/ – FreeBMD is an ongoing project, the aim of which is to transcribe the Civil Registration index of births, marriages and deaths for England and Wales.